Because it is such a critical part of our overall educational mission, I have written a lot lately about how San Jose State prepares its students for the workforce and, specifically, the global economy. Continuing that theme, I would like to focus this time on transportation, both the multitude of opportunities in this field but also the exciting ways in which San Jose State and its Mineta Transportation Institute (MTI) are working to develop a qualified, well-trained transportation workforce. Transportation, of course, impacts each and every one of us on, quite literally, a daily basis. Whether we drive to work, peddle our bikes, relax on a train ride or ride a skateboard, transportation is ubiquitous in all our lives. However, though we talk about many career fields and areas of related study at San Jose State, transportation often gets lost in the mix. It would be a shame for that continue, particularly given the severe shortage in qualified transportation workers, coupled with an increasing demand on our transportation systems that will require more, not fewer, degreed transportation professionals. A 2015 study by the Department of Transportation estimates that “transportation employers across the main subsectors of trucking, transit, air, highway, rail and maritime will need to hire up to 4.6 million workers” over the next decade. Transportation jobs do not only include airline pilots, bus drivers or train engineers, as vital as those positions are to our daily routines. Successful transportation systems require a multidisciplinary approach and can be staffed by any number of professionals. We educators must do our part to help point students in that direction so that they understand—and can pursue—those opportunities. For example, transportation systems require supply-chain managers (SJSU business majors, take note!). There is a great need for engineers and operators (Charles W. Davidson College of Engineering, anyone?). Our College of Health and Human Sciences conducts research on the mobility of older adults and studies the relationship between freeways and farms. Our College of Science examines how vehicle emissions are being reduced. And lest anyone think transportation careers are not for liberal arts majors, I will happily point out that MTI’s executive director, Karen Philbrick, is an academic trained in psychology! Karen assures me that the skills and insights she learned earning her Ph.D. are very much in play with her MTI responsibilities. Finally, communications and public relations professionals are needed to help market transportation systems, so graduates of our School of Journalism and Mass Communications can also put their skills to use in the transportation field. As you can see, MTI employs students and faculty members from a broad range of colleges and departments on the SJSU campus! And the transportation industry has a multitude of employment opportunities for graduates from a wide range of academic disciplines. MTI is doing tremendous work to make these opportunities known to as wide and diverse an audience as possible. Workforce development is one of the four primary areas of focus for MTI, with education, technology transfer and research being the others. MTI is a federally funded, competitively selected, university transportation center (UTC), and we are very proud of the role it plays for us at San Jose State. Sec. Norman Mineta (ret.) with From the Heart Middle School students for the Garrett Morgan Sustainable Transportation Competition at the United States Department of Transportation (USDOT) Media Center in Washington, D.C. The institute was founded by my friend and native San Josean, Secretary Norman Mineta, whose accomplishments are far too long to list here. Today, MTI leads several consortiums, runs leadership academies for large transportation commissions, conducts emergency management training and earns grant monies that enable MTI to work on transportation workforce development projects. One of those projects is MTI’s Summer Transportation Institute (STI), which helps educate high school students about possible transportation careers. 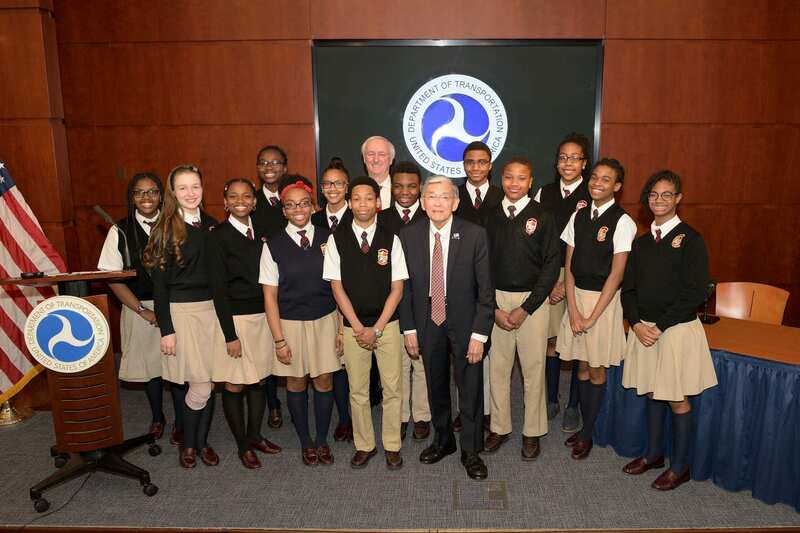 It is part of the “cradle to career” approach that MTI takes, as the institute also delivers programs for middle school and even younger students to get them excited about transportation at an early age. The three-week STI program for high-schoolers is designed to reach underrepresented minorities and high school seniors who will become first-generation college students, so that when they step foot on our campus it is not the first time they have visited a university, which too often is the case. There is no cost to the participants, and the summer session includes 16—yes, 16!—field trips, including visits to Mineta Airport, Google and South San Francisco, places where they learn about transportation activities such as baggage handling, flight simulation, vehicle maintenance and even the balance between transportation and nature. The students earn three units of transferable college credits and attend a graduation ceremony. 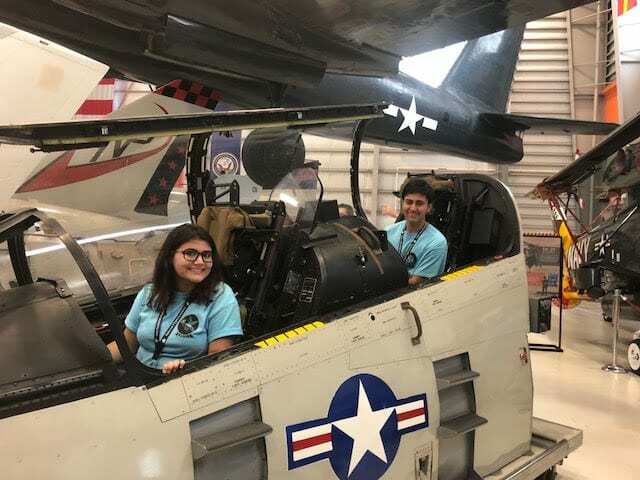 Top performing students last year even received an all-expenses-paid trip to Pensacola, Florida, to spend five nights aboard the world’s largest simulated aircraft carrier and learn about careers in aviation. MTI and the opportunities it offers to learn about careers in transportation are probably one of San Jose State’s best-kept secrets. But I hope we can change that and help create an ongoing, robust pipeline of transportation talent at SJSU. Karen and her team at MTI spend a great deal of time on outreach. They conduct more than 30 public events each year that reach more than 3,000 transportation professionals, and we often hear or see Karen in the news media commenting on various transportation themes or news stories. 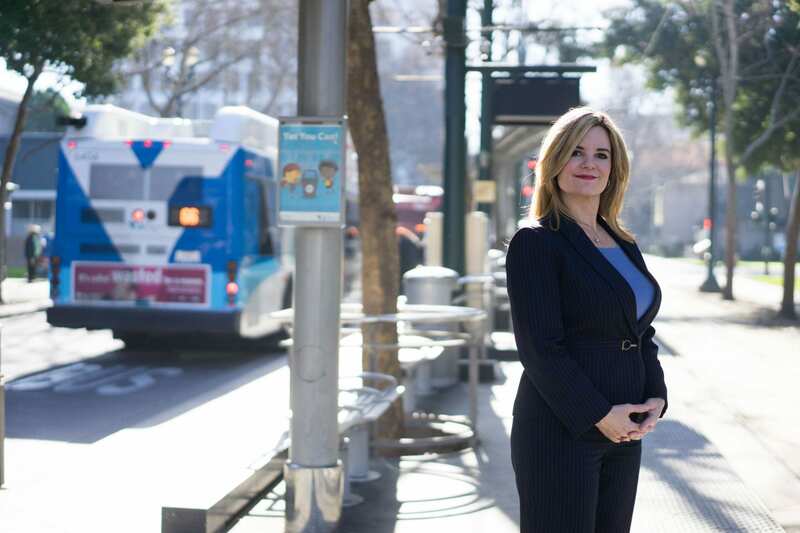 She also plays a number of leadership roles with transportation trade organizations, such as a recent appointment by U.S. Secretary of Transportation Elaine Chao to the Transit Advisory Committee for Safety. All of this outreach has helped solidify MTI and San Jose State as key players on the national transportation stage. The institute—and the education and workplace development programs it has implemented—provides a model and a range of best practices that we hope other transportation organizations will emulate.